Buenas tardes, amigos! Chris and I just returned from a whirlwind adventure in Peru, and I’m still in the process of unpacking my thoughts and all of our stuff, not to mention I still need to go through hundreds and hundreds of photos! But in the meantime, I thought I’d start out by posting about our trekking company and how we decided to book the itinerary we did, since that’s generally one of the first steps for anyone deciding on a trek in Peru. 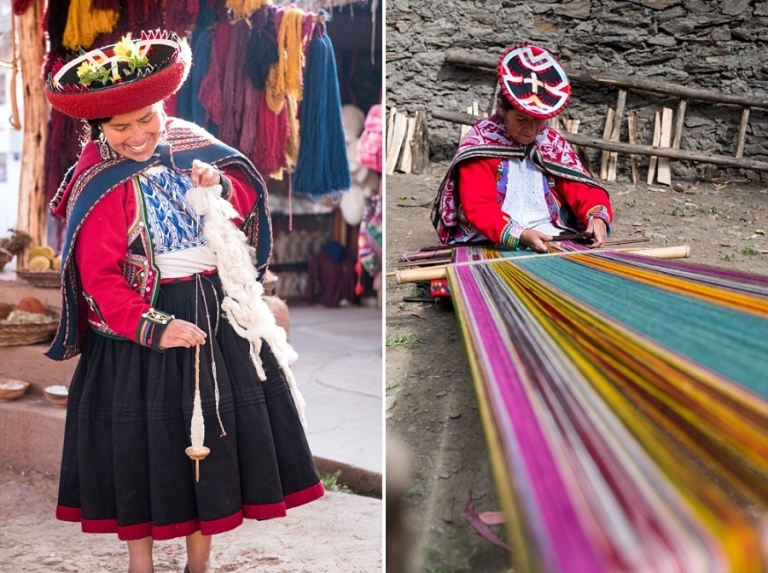 The Lares Adventure promised to take us into Andean villages to witness and experience local customs such as weaving, farming, and cooking, and that’s exactly what we wanted. 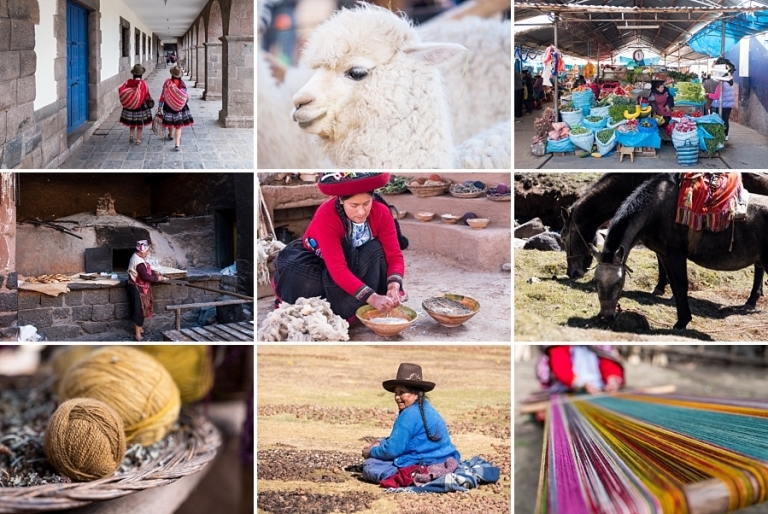 In my research and travel planning, the Lares Adventure seemed to be a favorite for fans of slower travel who wanted to experience the Andean region at a more relaxed pace. This was the perfect combination of nature and culture, with amazing opportunities to get to know the local people. 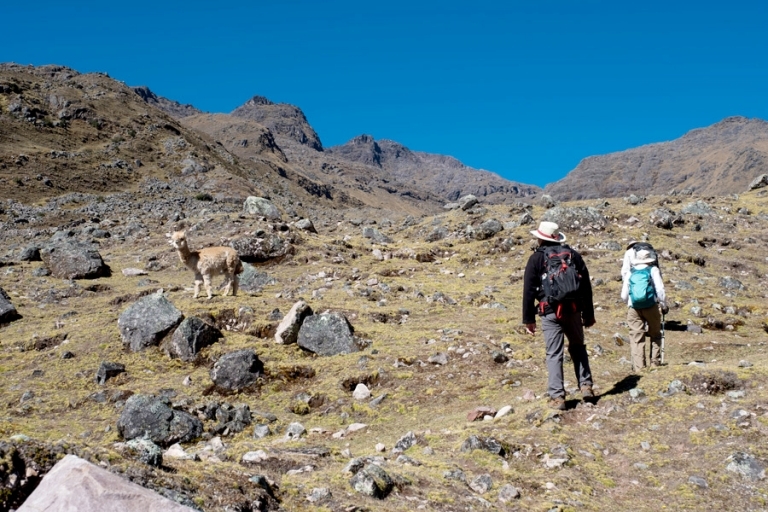 The Lares Adventure started and ended hikes in ideal spots. I really appreciated the idea of getting right to the meat of the hikes, which saved precious time to put toward cultural experiences. The Lares Adventure was designed to offer a customizable experience for each participant, so every night on the trek our group attended a briefing to go over the activity options for the next day. This flexibility appealed to me not only for the variety of experiences, but also because while I have been blessed with a strong sense of adventure, I am also cursed with an extremely sensitive digestive system. I have a few food allergies and sensitivities, but I still like to try new foods and to experience local cuisines when we travel. In doing so, I worry that I’ll try something new only to find out that I’m intolerant to it. In addition to hiking and cultural excursions in the villages, the Lares Adventure also offered opportunities for bike rides! We love riding the trails at home, so we enjoyed mixing it up between hiking and biking while in Peru. 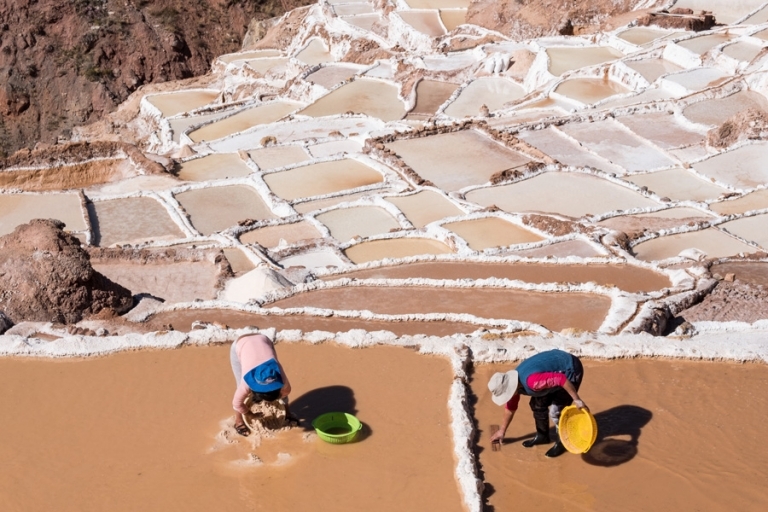 I’ll be frank: I immediately fell in love with the idea of MLP for the option to sleep in a bed rather than on the ground as you do with a trekking company on the Inca Trail. Chris would do fine on the trail and with camping the entire time, but when it comes down to it, I’m just not really interested in camping for more than a night or two. Camping every single night for the whole trek simply doesn’t appeal to me. I kind of wish it did, but we can’t all love the same things, right? I’m happy to say the lodges were all gorgeous and comfortable, and they had wonderful, modern bathrooms. One of the lodges even had a hot tub! Post-hike heaven. And as a bonus sixth reason, the Lares Adventure was a perfectly serene crowd-free alternative to the more popular Inca Trail route. Our hikes only included our group and the occasional local villagers. We walked for miles and miles without seeing another soul, and it was blissful. We’re incredibly happy with our choice to book with Mountain Lodges of Peru, and I have lots more to tell you about the trek. First though, we spent a bit of time in Lima and Cusco – those posts are up next! Note: This post is not sponsored by Mountain Lodges of Peru and I did not receive anything in exchange for this post. We just loved our trip with them!